Do you get the feeling that your spouse is hiding something, gets home late and has unreasonable excuses, became more secretive, spends money you don’t have on needless things, clothes; keeps the cellphone password protected and never leaves it for a second? These are the signs that your spouse might be cheating on you. But without proof it is hard to call them definitive evidence. In fact if you try to expose your spouse with these proofless claims – the partner will likely find a simple excuse to explain everything, moreover, they will try to reject accusations and make you feel guilty for being suspicious. However, there is a different approach to catch the cheater – hire a Private Investigator. What are the advanatages of doing so? Most private detectives are IT experts and do their job in different ways, it depends on situation and type of intel they are provided with initially. Can you imagine yourself driving around the spouse’s car and watching his every single move? It’s quite difficult. However, a lot of people think that it is pretty easy to do. The truth is that it is hard to stay undercover and not being noticed. The best way is to hire a specialist that will do all the job and still remain completely undetectable. Only PIs can confirm the fact of spouse’s betrayal by monitoring their activities constantly and gathering proof for court. In some cases tailing the target and taking pictures is enough, on the other hand some force-majeure situations might require certain “heavy artillery” to be involved. This includes hidden cameras, mics, bugs and other devices to catch the partner in the right place and time. Another source of information is the Web. PIs can check your spouse’s Internet activity, emails and social networking. Even though such information can be easily deleted – there are ways of retrieving it and PI can help you with that. Cell phone is inevitable part of our lives. We do most of the web surfing, chatting, communicating with the help of this small handy device, entering the Cell Phone era and leaving PCs behind. When it comes to cell phone spying – even PIs need assistance from spyware for cell phones. 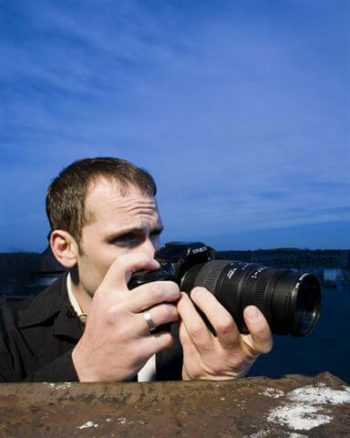 ToPspy comes to the resque and is the choice of numerous Private Investigation agencies. It is the app that allows to record calls, track Location, retrieve all texts (including the deleted ones!) as well as spying on Social networking activities such as Skype, Viber, WhatsApp, Facebook logs. Powerful and completely undetectable cell phone spying solution. Finally, Private Detectives will help you gather all the information and make up your final decision. In case you think that divorce is inevitable – they will even help you to be on the top of the process and make the outcome favorable for you. We've introduced our new cell phone spying software to help you track you underage kids, and increase your business safety. How to protect yourself from a theft with a Cell phone spy ?